In advance of every home cook’s favorite holiday, we talked over every aspect of Thanksgiving. We started, naturally, with planning and strategy–how far out do we start thinking it through? What do we do in advance? What are the key Thanksgiving organization tools? Appetizers or no appetizers? Should we start with soup? That is the question. One of Joy’s favorite holiday recipes is these Sausage Potato Puffs. 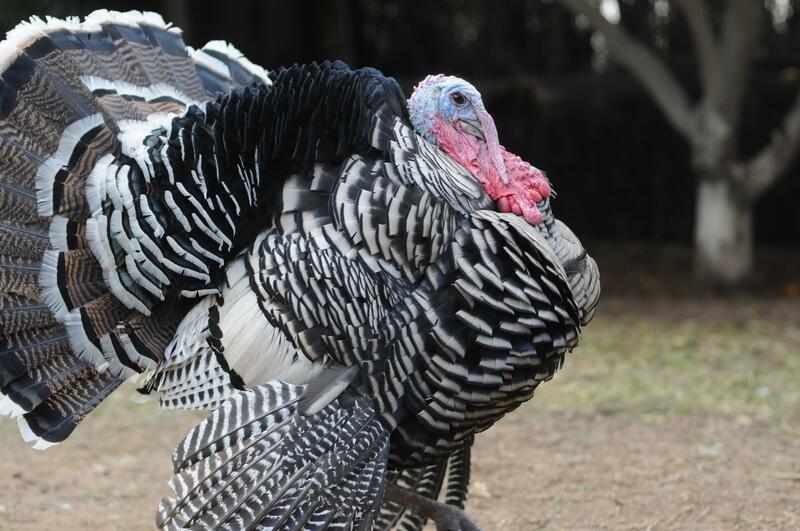 We talked turkey: Both Joy and Marisa ordered their birds via Fair Food Farmstand. (Philly listeners can still pre-order their very own by clicking here.) We also address brining methods (wet or dry?) and whether to roast the turkey whole. One of us stuffs the turkey with stuffing; one of us does not. We review all the sides we must have–some from childhood, some we’ve adopted later in our lives. Marisa is especially fond of these vanilla mashed sweet potatoes from the blog 101 Cookbooks. Joy swears by the Cook’s Illustrated Classic Bread Stuffing for a Crowd. Gravy. Like everyone, we love gravy. Joy makes Mark Bittman’s Make Ahead Turkey Gravy every year. Check out Marisa’s astounding canned cranberry fake out recipe for the people in your lives who can’t kick the can. In today’s show we kicked off with some apple talk, covering our favorite apple varieties. We also discussed using apples in salad as well as cooking and baking with this fall fruit, too. We shared our strategies for when kitchen inspiration fails us–which it often does. Here’s that meatloaf recipe Joy mentioned and a link to the wonderful cookbook Mastering Sauces by Susan Voland that Marisa has been enjoying. Here’s the “Yummy Sauce” Alana Chernila that Marisa mentioned. 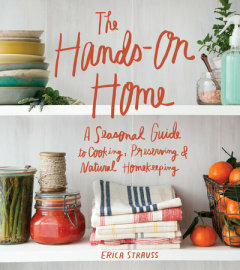 This episode’s interview was with writer Erica Strauss of the blog Northwest Edible Life and book The Hands-On Home. And finally, we talked about the virtues of eggs for dinner. 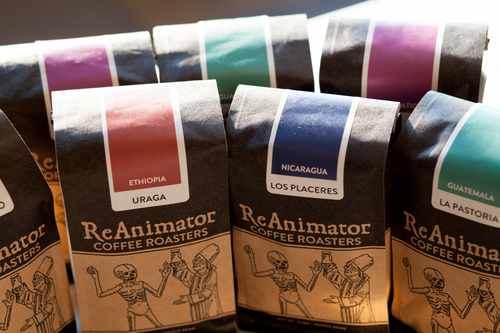 It’s October now, and pumpkins are on our brains (and our tables) this episode. Starbucks added real pumpkin puree to its pumpkin spice lattes. We discuss. Did you know there’s such a thing as pumpkin spice Oreos? Fall = potluck season. We talk about our past potluck experience (Marisa’s, extensive; Joy’s less so), favorite dishes, and the unspoken rules and regs of the potluck table. 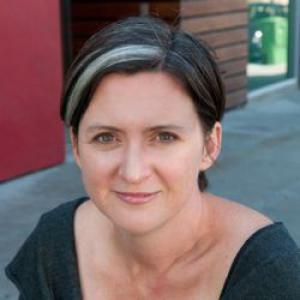 Marisa visited food writer and cookbook author Molly Watson in San Francisco and the pair talked about her time in the Sunset test kitchen, solving the “dinner problem” with Munchery, and her story about home cooking that will appear in this year’s Best Food Writing. We love her latest book Greens & Grains. At her farmer’s market, Marisa is scooping up all the heirloom type pumpkins while Joy cooks with pumpkin out of the can. 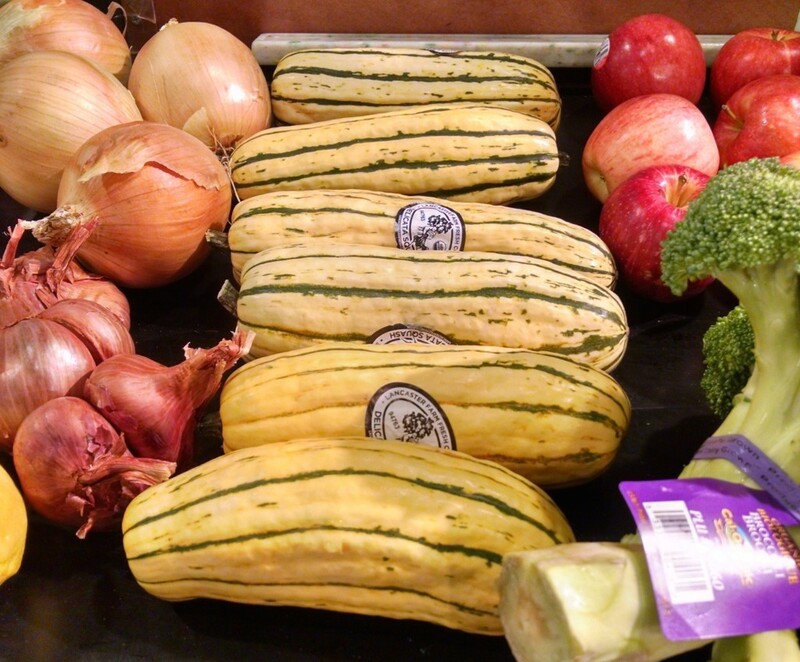 Here’s that Ruth Reichl pumpkin recipe we talk about. Finally, there’s a fall feeling in the air here in Philadelphia, and today’s episode covers some seasonally appropriate topics. But first, we chat about the fact that recalls on organic food seem to be up, according to this story in the New York Times. We also dusted off our slow cookers, the perfect appliance for many cool-weather classics, like stews. But we use them (Marisa owns four!) for all kinds of things, especially beans, whole chickens, sweet potatoes, chicken thighs, steel cut oats, caramelized onions. We love it all. Finally, Marisa unraveled the alluring mystery of Italian Prune Plums. 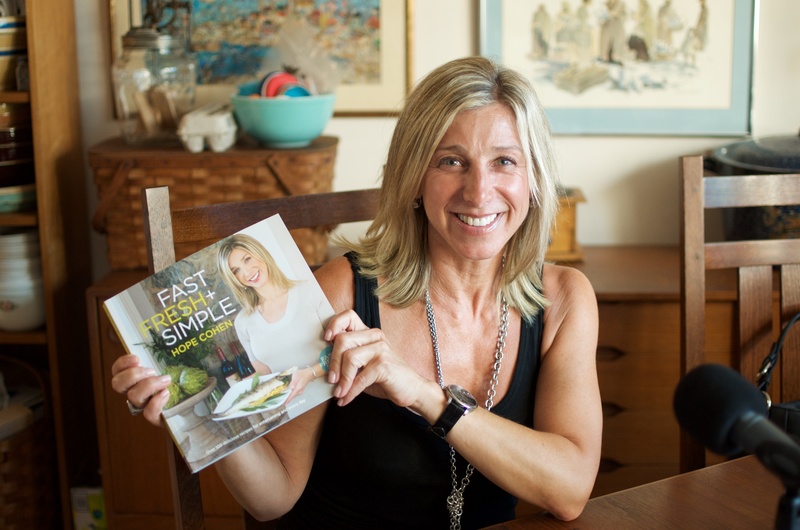 Hope Cohen with her cookbook. Scroll down to find out how to win a copy! Today, we shared our views on this somewhat controversial Q&A with Alton Brown New York Times magazine. And, to clarify something: Joy said “Kenji” had been nipping at Alton Brown’s heels, without explaining who Kenji is. She meant Kenji Alt-Lopez, the brains behind Serious Eats genius series The Food Lab and the forthcoming book by the same name. If you are in Philadelphia, check out the millet muffin at Metropolitan Bakery. (Both of us just love it.) Live someplace else? You could try out this recipe inspired by the muffin. Also for those of us living in or visiting Philly: go eat raw oysters at Oyster House. We discovered our new oyster crush there, Sweet Amalias, at a recent event. 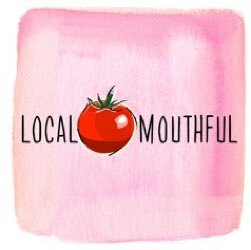 By the way, what’s your interest in a Local Mouthful oyster club? Tell us in the comments and if enough of you want to eat oysters with us we just may try to set something up. Our guest today was Hope Cohen, the host of the new two-minute video series, Crave Philly. Check out the first episode, during which Hope will take you inside Spread Bagelry, a Montreal style bakery in the Rittenhouse Square neighborhood. Follow Hope on twitter and instagram @icravephilly. We also talked about Hope’s book, Fast, Fresh and Simple. And she gave us a copy to give to one of you! (Thanks, Hope!) Win the book by signing up for our newsletter (see the box in the left sidebar). Marisa explained that she enjoys working at Nook and Good Karma Cafe and shares her tips on being courteous about it. Joy can’t get much writing or editing done in cafes, but she does have a lot of meetings at Chhaya. Share your favorite spots with good coffee and strong wifi in the comments. Next we tackled no cook meals. Listen for all the great tips, but a couple recipes we mentioned were this one for Chilled Cucumber and Avocado Soup and this one for Veggie Nori Rolls. With several recent studies on the topic of carbs and health in the news, we shared our approaches to eating the starchy stuff. It turns out we both love one particular low carb recipe–Green Chicken from Nom Nom Paleo. This conversation may have backfired: just talking about it made us hungry for our favorite breads (from High Street on Market) and pasta (from Zeppoli restaurant). 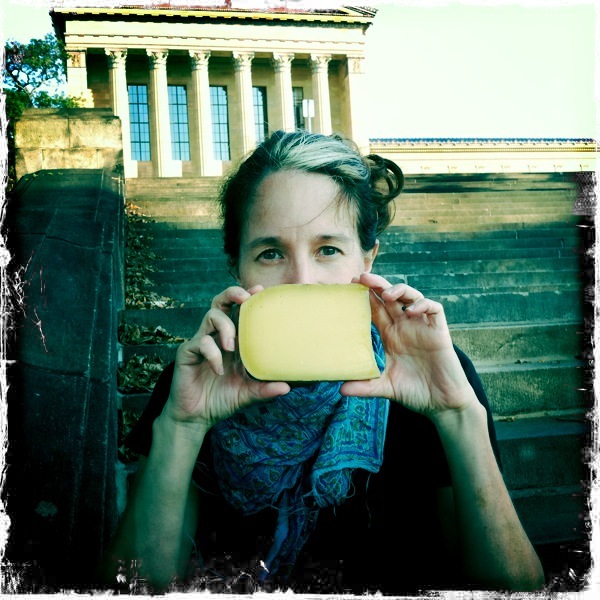 Our interview this week features Tenaya Darlington, whose blog Madame Fromage is a cheese-lover’s dream. If you enjoy what she had to say us, buy her first book, Di Bruno Bros. House of Cheese, and pre-order her second, The Modern Cocktailer. The LA Times published a story about recipes (Is Recipe Testing a Vanishing Art? ), which piqued our interest given that we both develop recipes professionally. For the most tested and trustworthy recipes, Joy suggests investing in a Cook’s Illustrated membership, while Marisa likes Smitten Kitchen–especially for the blondies. We recorded this one in the middle of a heat wave, and no-cook dinners were on both our minds. We swapped tips on entree salads. Here’s more about that shredded salad Marisa mentioned. And here are a few more salad tips (plus a vinaigrette recipe) from Joy. We talked to Joe Beddia about how he is feeling in the wake of his Pizzeria Beddia being named best pizza shop in America by Bon Appetit magazine. 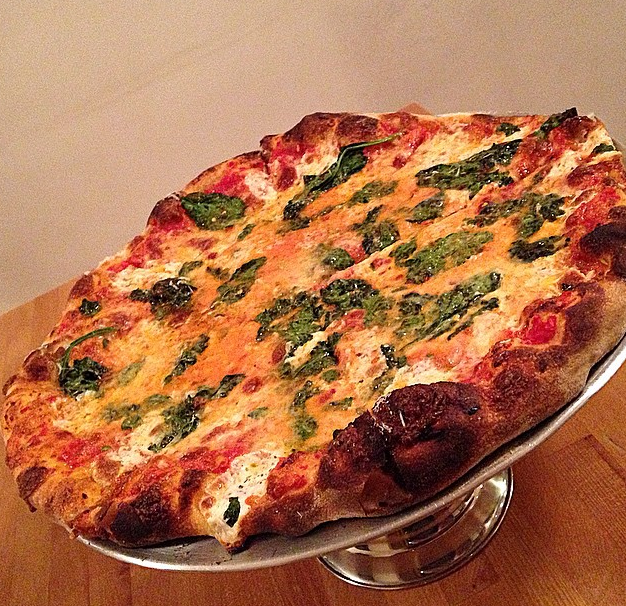 You will definitely want to hear his tips on making pizza at home. Marisa sang the praises of local cantaloupes, and here’s her recipe for the jam she described. If you like what you hear, make sure to subscribe! Bonus points if you rate us or leave a review.